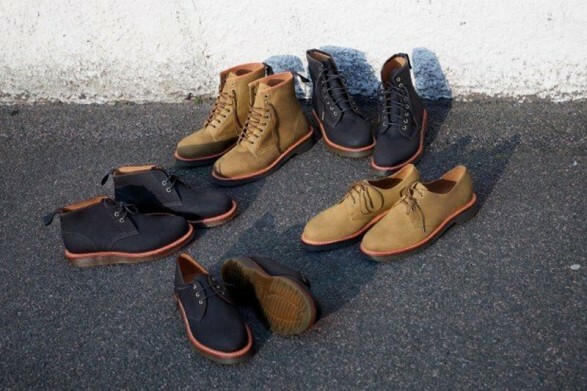 The Docs mythical classics and the military boots have become a wardrobe basic in recent seasons, and much has run since 1947 – the year that Dr. Klaus Martens the planned, motivated by the uncomfortable shoes that carried the army and so many ailments and injuries caused them -. His maxim was to create a boot-resistant, flexible and durable, and that if we got it. 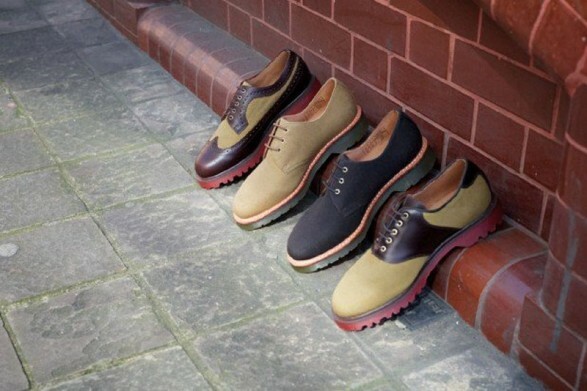 In the 50′s first factory was established in the 60′s was easily seen on the feet of workers, postmen or policemen, and the way it began to look for the young skinheads who made the cherry red model an icon of style. Since the 70′s the Dr. Martens were one of the musts undisputed stars of British punk rock and therefore, the most desired shoes for teens. 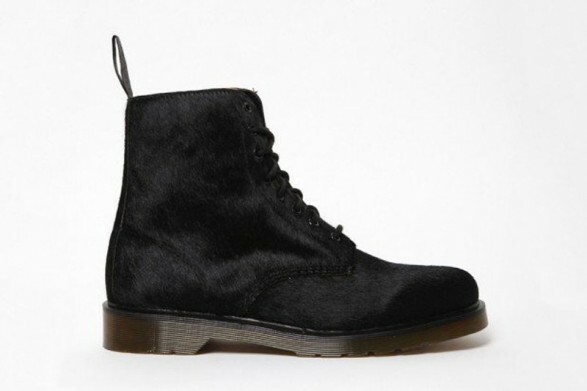 The Martens have had their heyday in the same way and have become outmoded, although today we might say that they are a basic classical, Is that who does not have or wish to have a Docs. This season the load back stronger than ever, if possible, and are presented in a variety of styles From traditional models, the re-editions of formats up to date, through the latest designs. The more discreet can also make use of them thanks to lines less street and smart In this special we look at some of the most interesting features is mythical home British for the season Fall-Winter 2011/2012. And do not forget to review some of the leading trends in footwear refers to our special. Although it seems a nonsense of ‘Eight-hole Pascal Boot’ is thin and elegant, obvious. A perfect model for the more casual gourmet, which is republished with bright finish pony hair in anthracite black. The horse hair is imported directly from Italy from Vincenza Pelli specializes in this type of materials produced for several houses. The Boot Pascal hairs are perfect to wear with jeans and a jacket of velvet for example, looks semi-formal with a point as classy. This mini-collection that we show below is a special project sponsored by the ‘Zouk Club’ in Singapore – one of the fashionable haunts the scene dance, Which each week features the best DJs on the international scene – and whose profits will go to charities and solidarity. 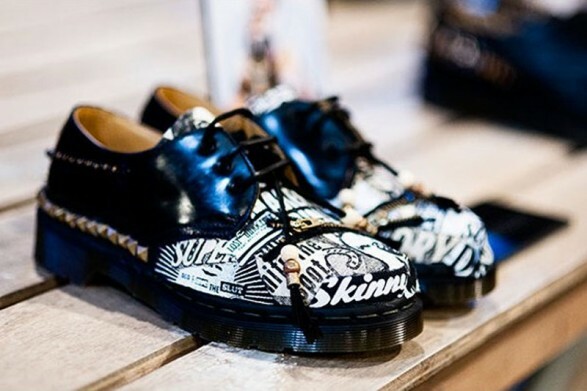 This interesting collection has enjoyed the cooperation of a twenty artists, And each has customized a classic model of shoe, Dr. Martens 1461, resulting in spectacular and avant-garde options are unsuitable for those who want to go unnoticed, and inspired by street graffiti or Art Deco for example. 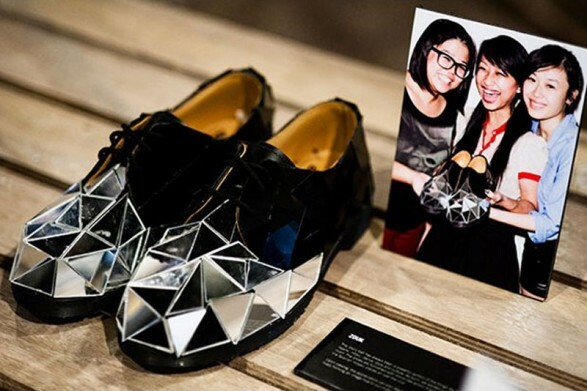 My favorite of which are adorned with small crystals of the triangular-shaped mirror-style disco ball. Later that we propose in this first part of the special Doctor Martens are the result of a collaboration especially among ‘The British Millerain Co’, A traditional shoe factory baritone in conjunction with the mythical home of boots military-punks. The line ‘Windsor’ That this has been named this mini-capsule collection takes as its inspiration classic English style shoes most characteristic and updates the image and likeness of Doc’s style. The sight is, perfect for casual models that neglected casual ranging from versions of the desert boots in tissue suede, To models that are based on those used in golf lords, reaching high boots retro cut. As for colors include earth tones, with supremacy camel hunting and green tonal blue accents. Without doubt the best to wear with corduroys or Chinese and combined with knitted pullovers, cardigans braided launches informal cutting and hunting styles of a clear inspiration worker, A trend repeated in the most-recent seasons. Home is one of the quintessential American fashion and we all have associated the horse logo Undoubtedly whenever we think it comes to styling head reply iconic as the pole piece, in fact one of its lines is based on this basic male wardrobe. Although Ralph Lauren is much more than that, multiple lines allow you to zoom to present a variety of styles for almost every public. And this mini-collection which has the pattern of skulls as a common thread is an example of the current range of this recognizable brand. The skull print returns to the fray at Ralph Lauren and a few years ago and took a collection based on this pattern. 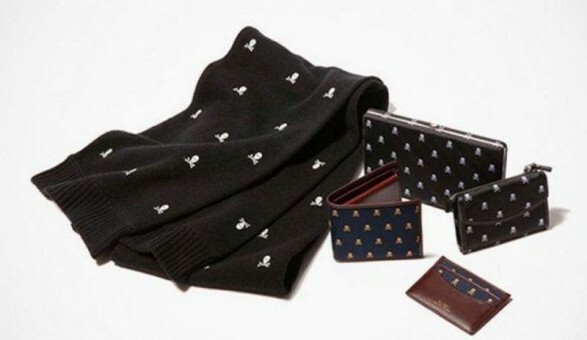 Now they have decided to republish some of these items and print skull on left and write Scarves and leather goods Such as wallets and purses. This intended to be available soon in stores in the popular Rugby firm. I hope you like this model because we Arizona Muse for a while. The last chapter of the Arizona campaign featuring brings us the cruise collection of Louis Vuitton. Arizona already starred in the catalog of this same collection, catalog it was much more appealing than the image chosen for the campaign, at least for me. The image shows a look two pieces coordinated very cute, but something makes him dangerous, cap. Remember that we have already seen caps are back (we have seen in Miu Miu and Victoria Beckham) and, frankly, I have much fear. The other two images of the campaign Louis Vuitton Cruise collections 2012 are more beautiful, especially the forefront of Arizona with large sunglasses and her hair waved in the breeze from the sea. Although I like the green and black dress for the summer of the other image.